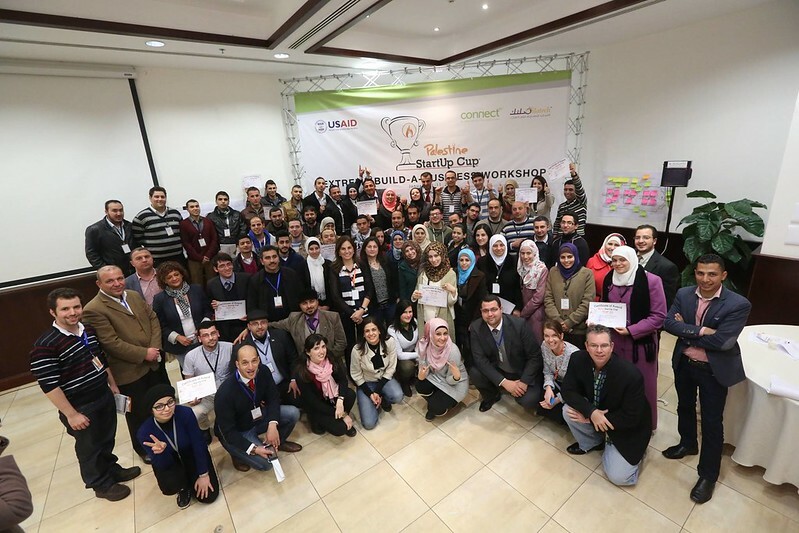 Palestine StartUp Cup held its first workshop, taking place Jan 10-11 at Leaders Venue in Ramallah, where 65 selected teams and startups were mentored on how to build their business and create a sustainable business model. Judges and mentors then filtered the participants’ list, selecting the 25 top teams that will hold pitches to a panel of judges later on during the competition period. StartUp Cup is a global network of locally driven business model competitions open to any type of business idea. Through this competitive process entrepreneurs learn how to design a viable business model, develop customers, test their assumptions, and grow their business revenue through a comprehensive judging, coaching, and mentoring process. The Top 25 startups will move to the next round where they will present a pitch to judges. The judges will then select 12 Semi-Finalists who move into the coaching phase. Those 12 startups will work with coaches who will offer resources and expertise to help the entrepreneurs polish their business models and pitch techniques before competing in the next round where the Final Seven are selected. The opening was attended by USAID, Silatech and many other companies and organizations. In her opening speech Randa Masri Palestine StartUp Cup Organizer and CEO and founder of connectme, welcomed all the entrepreneurs and the businessmen who attended the competition in addition to welcoming the two founders of the competition Sean Greven and Christine. In her speech Masri assured that “the Palestine economic environment needs the collaboration between businessmen, experts and the creative powers of entrepreneurs which will benefit all of them”. 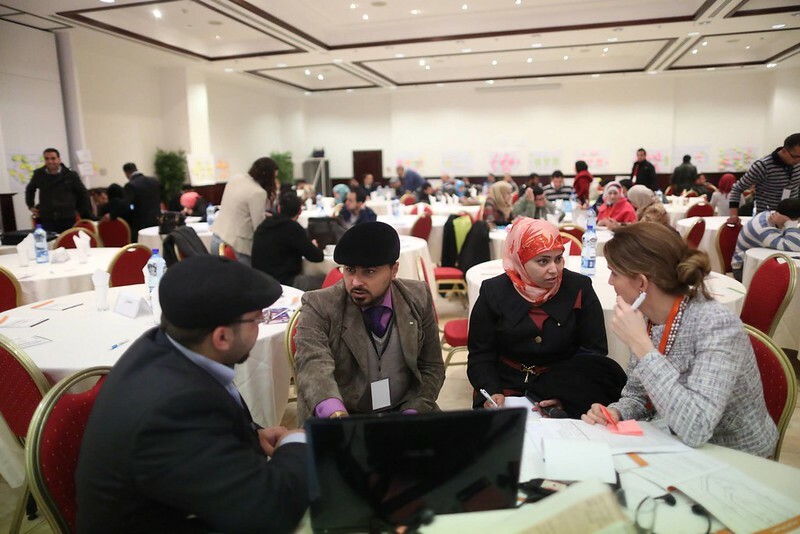 In between the rounds, each entrepreneur receives coaching from local business leaders and experts. An awards celebration to announce the top three winners will be held at the end of the competition. 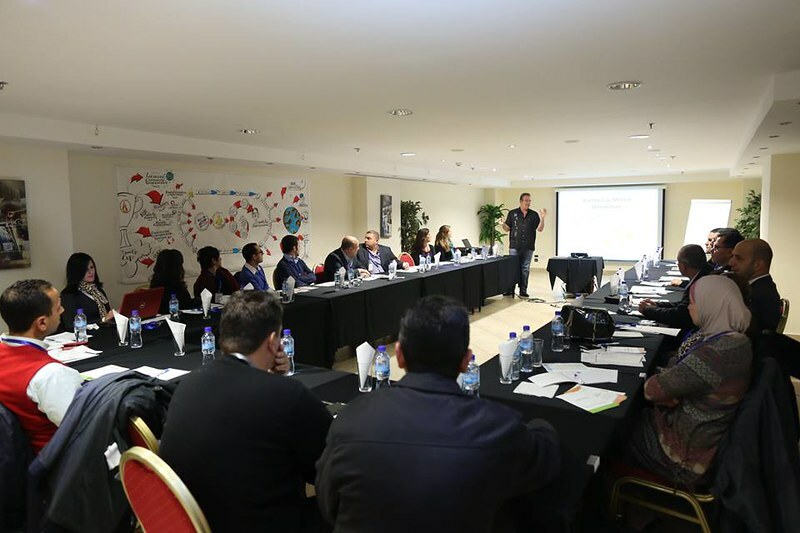 Throughout the process, the judges and coaches determine whether the entrepreneurs have integrated the feedback they were given into their business model. The terms of the competition were introduced by Mr.Greven, CEO and Founder of StartUp Cup, where he presented the instructions for the judges and the criteria to choose a winner, where he talked about the importance of entrepreneurship is Palestine and in the world, and about what’s called “The visual Thinking” and it’s value in developing a business. He also presented to the participants about the entrepreneurial mentality and the strategic thinking. Mentors and judges were able to monitor the ability of the teams to quickly adapt, modify and enhance their business model over two days. 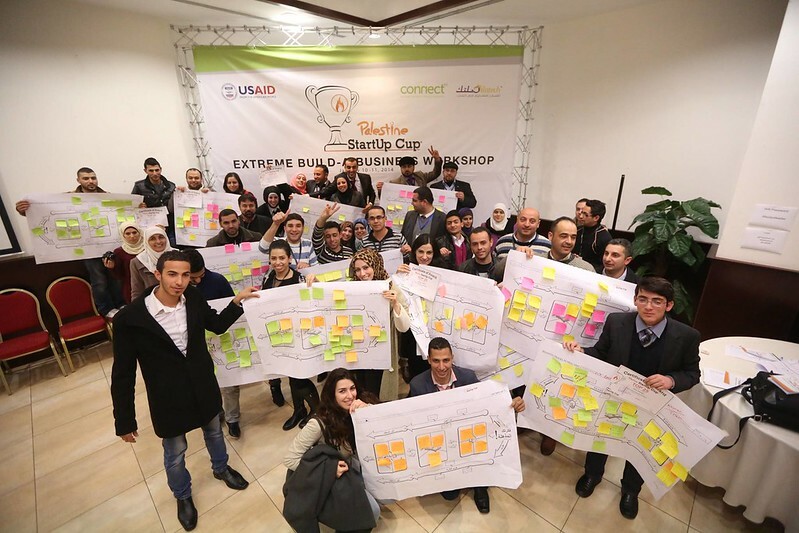 Entrepreneurs who compete in the Palestine StartUp Cup are rewarded for turning their idea into a viable business, going to market quickly, testing assumptions, and modifying their business model as they learn.